Kick back and start streaming! Unwind in front of the TV with all of your favorite shows, movies and entertainment. Gizmo Heroes' smart TV setup will connect up to 3 devices to your television, connect your TV to your network and set up to 5 streaming services so you can binge-watch all your favorite shows! Ready to add more depth to your home movie watching experience or want to enjoy whole home audio while you entertain? Gizmo Heroes home audio setup can connect multi-channel audio receivers for music in every room and support up to 9.2 channels of audio from built in speakers to floor towers. If you prefer a wireless approach, we can set up a Sonos surround system that will allow you to group speakers together in different rooms for whole home audio. Every home audio setup includes connecting audio inputs, wire maintenance, and acoustic testing to make sure you get the best experience possible. If you're ready to cut the cord, start with one of our favorite devices. The Apple TV 4K lets you download the latest movies from the iTunes store and upgrades you to the 4K version for free. It also supports Dolby Vision - the premiere HDR format for cinematic viewing at home. It also features Siri voice search. The Chromecast Ultra supports 4K streaming from your mobile device with select streaming providers. It's low price tag makes it a great value, and if you have a Google Home, you can use your voice to cast Netflix, YouTube and your Photos directly to your TV. 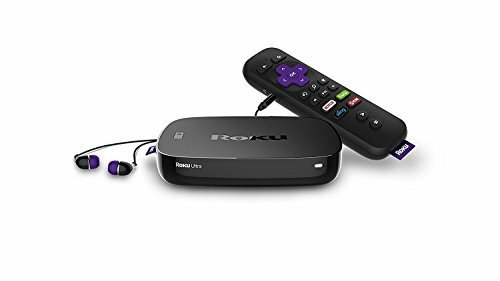 The Roku Ultra is the best value in 4K streaming. It supports 4K content in HDR with a massive library of streaming apps as well as voice search in the remote. The best part about Roku is the ability to search for movies across all available apps so you can stream sooner.